The debates created an open space to discuss contemporary issues. “We tackled ideologies that are currently the talk of town as well as events, such as the journalist Jamal Khashoggi’s case, which are shaping the world,” he explains. The debate club participates in various debate competitions in Kenya and beyond. “We had a team that went to Uganda for the East African debates. We also took part in local debates such as the Kenya National debates and inter-varsity debates. We are the Kenya National and the East Africa debate champions. From the experience we had in Arusha, we realised we need to put in more practice,” he says. Their strategy this year is to have more practice sessions during the week so as to improve their speaking proficiency. 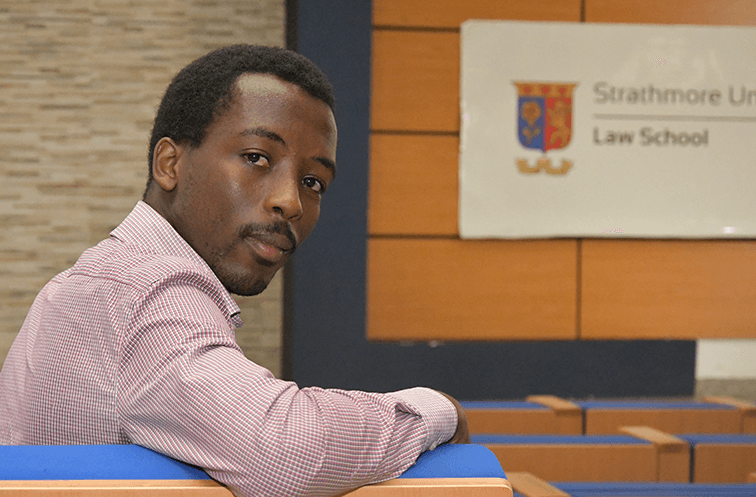 Macharia’s future plans after graduation, though still a few years away, include delving into human rights, commercial or constitutional law and into the world of academia because he revels in elucidating ideas.